The class calendar provides date related events of importance to the class. The calendar is not yet interactive. 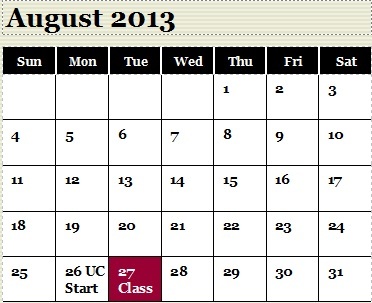 For University Events please go to the University Center Calendar. Syllabus explained. Kick off material presentation. Introduction to Course and Professor.